You may not have realized it, but you’re familiar with the plot structure known as “The Heroic Journey.” Almost every movie or book follows Joseph Campbell’s timeless story arc. Sound familiar? The best epics of our generation all include this pattern. Star Wars, Harry Potter, The Lord of the Rings. The name-dropping potential here is endless. In the early 90’s, a company called The Cramer Institute realized that this journey could be applied to real life, specifically to strategic goal setting and leadership development training. They created a program called Lead Positive, consulting top talent on how they can harness the power of this narrative to deliver on ambitious business goals. Now, let’s go Back to The Future (I told you, endless) because this year, CPG and The Cramer Institute have embarked on a journey together and given this pattern another reboot. The best of both worlds have been combined with TCI’s insight on the journey structure and its impact on leadership development, partnered with CPG’s expertise in creating immersive, experiential communications programs for top brands. Before personalized curriculum is built, CPG and TCI work with an organization to identify their most pressing engagement objectives. These needs can fall anywhere from increased formal training and retention to higher morale, to overall talent development. Who will benefit most from this experience? That would be your “people leaders,” or the talent, training, and development decision makers of the world. These are the change-makers tasked with, well, making these changes happen. Once you’ve got your participants, a pre-workshop survey is distributed to establish a baseline for feedback and help identify individual goals. Then it’s showtime, our favorite part. The experience itself is a half day live, interactive session facilitated by leadership development experts. Each one of your leaders is given a customized playbook and accompanying media to help outline their business narrative and path forward. 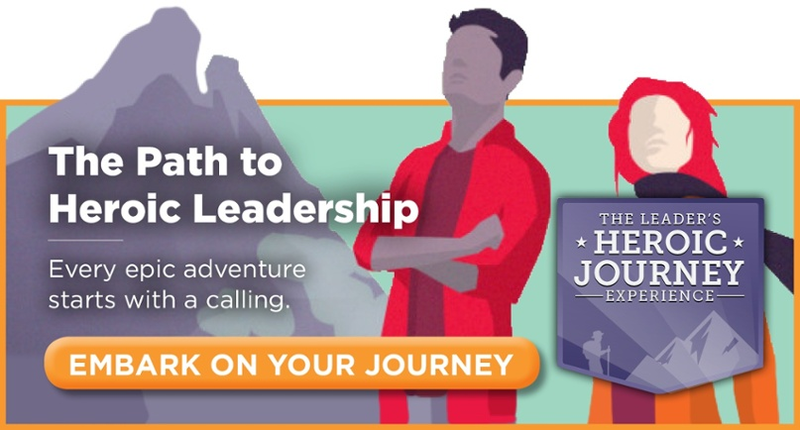 From there, goals are examined through the Heroic Journey lens, where they are broken down in a collaborative environment from start to finish. After the main experience wraps, participants will receive several follow-up coaching sessions focused on the goals they mapped out during the in-depth session. When all is said, done and learned, the full engagement lasts about 4-6 weeks. Not a bad trade off for driving organizational transformation, innovation and culture change for individual leaders and, by extension, your business. As Careerminds reminds us, leadership is a top reason for employee satisfaction in the workplace. Therefore, a happy, productive culture is grown through trusted, trained leaders.